An Italian company with 103 years in the distillation business knows that it must have superior distilling equipment and supplies to produce a high quality grappa, an alcoholic beverage that is native to Italy. That’s why Bonollo uses only Tudertechnica’s Tusil Bright silicone hose to produce its premium native beverage. Italy is the world leader in the production of grappa, a distilled alcoholic beverage referred to in Italy as a “digestivo.” Grappa is distilled from vinaccia a by-product of grapes used in making wine. 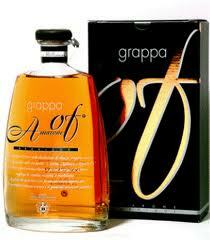 As advancements in the distillation and ageing process have taken place, grappa has gained worldwide acceptance as a digestif, or after-dinner drink.